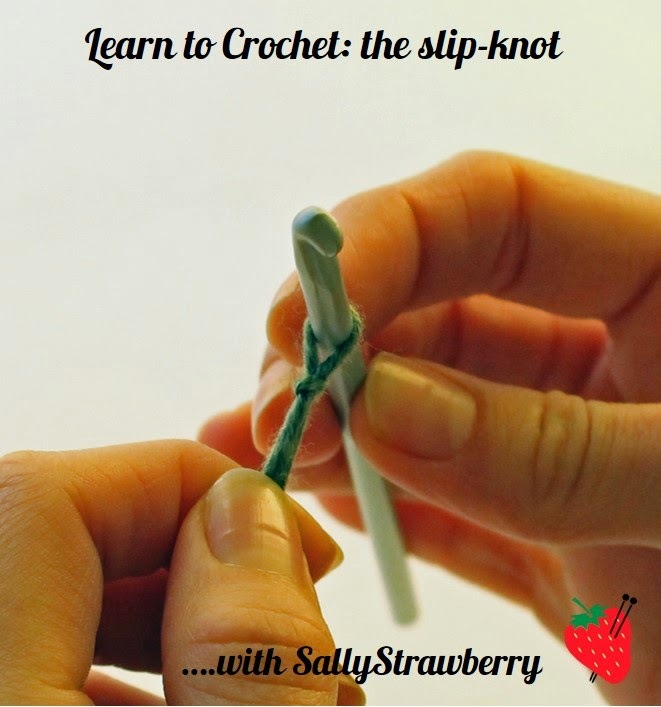 The slip-knot is the starting point of every crochet project (more or less), and can be a bit tricky to master when you first start to crochet. 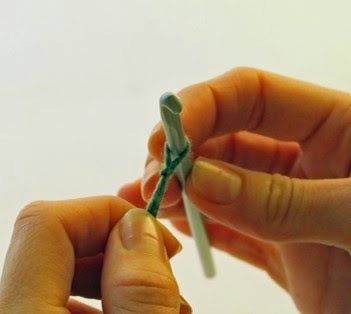 However, if you follow these 4 simple steps you will be slip-knotting in no time. If you need a recap on the kit required to start crocheting, look no further than this post. 1. 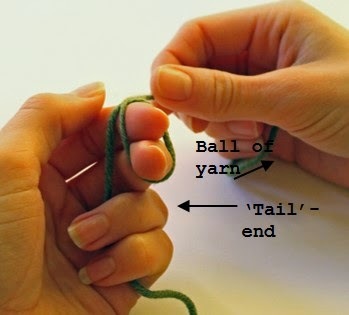 With the tail end of the yarn (the end of the yarn as opposed to the 'ball' end, or the working yarn) hanging downwards make a loop over your index and middle finger from front to back. When you go back over the top lay the top yarn over the bottom yarn. 2. 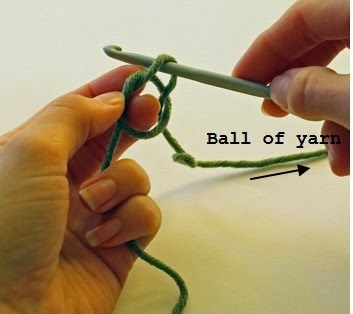 Pull the bottom yarn at the top of the loop through. Put your hook through this loop. 3. 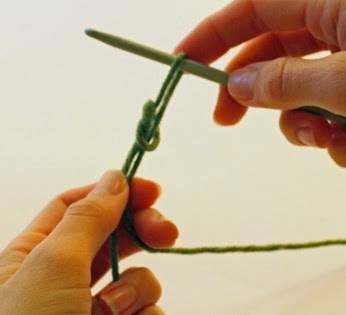 Gently pull the tail end of the yarn to tighten the knot on your loop. 4. Don't pull it too tight though- you want to leave a little gap between the knot and your hook. This will mean your stitches will be easier to make later. This can be a bit fiddly to begin with but persevere! Up next, holding the yarn and the chain stitch! As before, please let me know if you have any problems or would like to ask any questions.